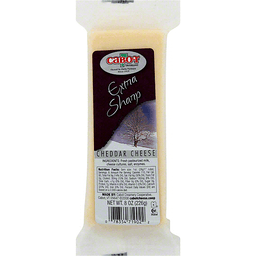 Cabot™ Extra Sharp Cheddar Cheese. Since 1919. Hand selected premium. Owned by our farm families in New York & New England. Naturally aged a minimum of 12 months. Contains 0g of lactose. ©2012. 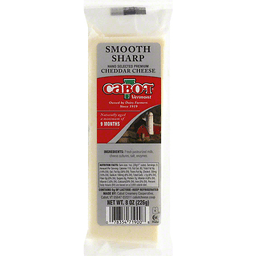 cabotcheese.coop. Halal. All natural cheese. Farmer owned since 1909. 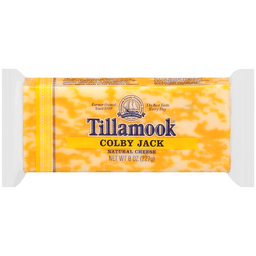 Here at Tillamook, we focus our attention on one thing - cheese. As a farmer-owned dairy cooperative, we take pride in continuing our tradition of quality cheese making started over a century ago. We hope you enjoy our all natural cheeses! Contains no rennet. 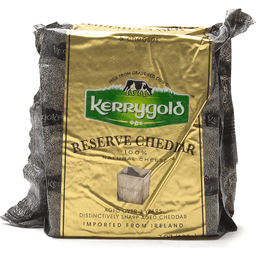 Kerrygold™ Reserve Cheddar. Milk from grass-fed cows. 100% natural cheese. Aged over 2 years. 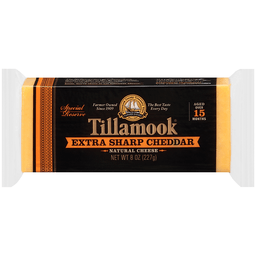 Distinctively sharp aged cheddar. Imported from Ireland. 7 oz (198g). In Ireland, cows graze on the green pastures of small family farms. This milk is churned to make Kerrygold butter & cheeses. Suitable for vegetarians. www.kerrygold.com/usa. Carefully aged & selected to ensure an extraordinary taste sensation. Welsh semi hard cheese. Cheddar cheese, carefully matured for real flavor. 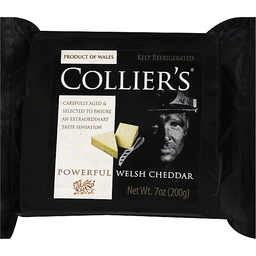 You may notice some salt deposits on the surface of Collier's Powerful Welsh Cheddar. This is a natural occurrence and is indicative of the high quality of the cheese. Packaged in a protective atmosphere. Suitable for vegetarians. www.collierscheese.com. Product of Wales. Product of Great Britain. 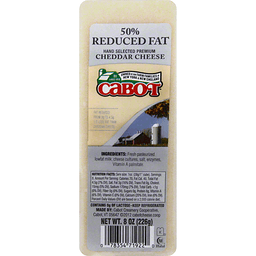 Cabot™ 50% Reduced Fat Cheddar Cheese. Hand selected premium cheddar cheese. Since 1919. Owned by our Farm Families in New York & New England. Fat reduced from 9g to 4.5g 1/2 less fat than cheddar cheese. Contains 0g of lactose. 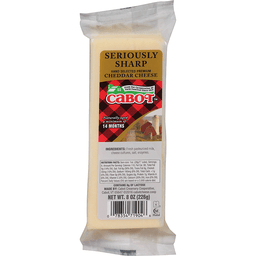 cabotcheese.coop. Halal. ©2012.